When reading „High-Fidelity-Prototypes“ the first thing, that comes to your mind is the book bestseller and only the second is the development of design screens in the fields of Usability and User Experience? In this case you should attend a training for becoming a certified UX expert by Austria’s biggest and most experienced company in Usability, User Experience and User Interface Design. The training prepares you for the foundation level (CPUX-F) certification and will be held by our certified Usability and User Experience experts who will train you to pass the exam. 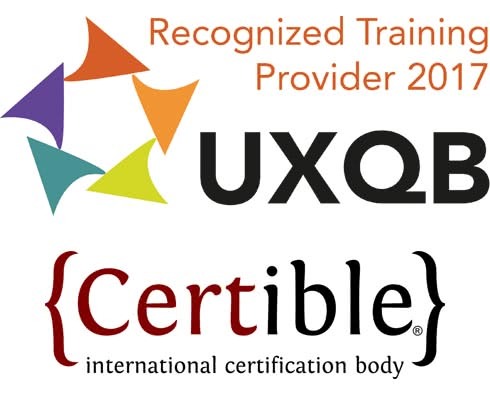 The training is based on the curriculum of the “International Usability and User Experience Board” (UXQB) and finishes with a certification test to become a “„UXQB® Certified Professional for Usability and User Experience — Foundation Level“ (CPUX-F), conducted by the accredited certification provider Certible. Three of our most experienced and best Usability and User Experience Professionals will conduct the training. Michael Bechinie and Markus Murtinger are certified Usability Experts since 2013 and hence part of the very manageable amount of Austria’s first Usability Professionals. Mag. Michael Bechinie – Head of Experience Design – has 20 years of experience in the fields of Usability and Interaction Design and is with USECON since 12 years. Within these years, he accompanied more than 200 national and international clients, also with UX workshops and -trainings. Additionally, Michael is guest lecturer since many years at various universities and organisations (University of Vienna, University of Applied Sciences Vienna) and is author and co-author for different professional magazines and reviewer for international Human-Computer-Interaction conferences. Mag. Markus Murtinger – Director Consulting, Sales & Marketing – has more than 10 years of experience in the fields of User-Centred Design, User Innovation and Customer Experience Methodologies and is with USECON since more than 10 years. Within this time, Markus was responsible for the conduction of more than 200 strategic User & Customer Experience national and international projects. Additionally, Markus is member in various special communities, speaker at symposia, guest lecturer at different universities (University of Vienna, University of Economic and Business Vienna, Alpen Adria University) and author of various commentaries in special media. Mag. 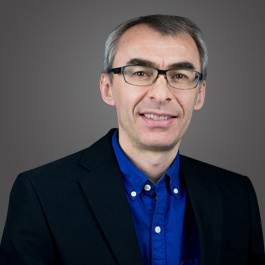 Werner Jordan – Head of Experience Consulting – has more than 15 years of experience in the fields of Usability, User Experience and User Interface Design and possesses extensive experience in the online field and in the execution of conceptual and strategic User- and Customer Experience projects. Werner is with USECON since 4 years and, during this time, has been responsible for the management of complex projects in an intercultural area as well as digital tranformation and organisational change for various national and international clients. Additionally he holds various talks about specific subjects and operates as lecturer for the course of product- and innovationmanagement at the FH Oberösterreich and for the course digital expert of the WIFI Salzburg. Christian Bechinie – Senior Experience Designer – has a diploma as an Audio Engineer from SAE (School of Audio Engineering) and is since 2012 Senior Experience Designer and Co-Team Lead at USECON. His consultancy focus lies in User Experience Design & Prototyping, Conception & Design, User Interfaces, User Centred Design and Strategic User Experience. Christian holds workshops and trainings for our clients on a regular basis and is a certified UX professional since 2018. 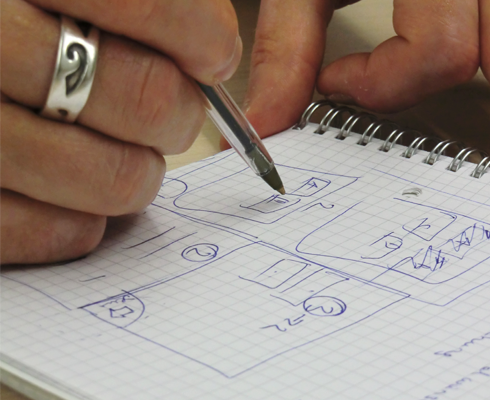 The topics and content meet the Curriculum und Glossar of UXQB (PDF), which has been acknowledged by the Association of Usability Professionals (German UPA). Anyone interested to gain knowledge in user centred development of services and products and want to become certified. The certification is to qualify people who work in Usability and User Experience. We offer 2 days of training (á approx. 8 hours) in our office in 1110 Vienna. The certification test takes place after the training on the second day. The costs include catering and scripts. The costs are without VAT and per person. Our trainings are also availabe in English and/or in-house in your company. Contact us personally for more information or register. No-cost cancellation is possible until 10 days before the training starts. After that or at no-show, we will invoice 40% of the all round price. Register now to ensure your place at our trainings for 2019! Please, register via Email .